Filled with imaginative drawings and sketches to color in and paint, this book features all twelve large plates and many more individual scenes from Annabelle von Sperber's Where's the Artist? book. Arranged chronologically, each scene depicts a critical juncture in the history of art: from the temples of ancient Egypt to Leonardo da Vinci's studio. 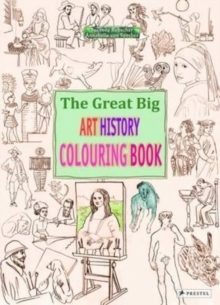 The drawings encourage coloring and learning about artistic movements and personalities, making this a source of information as well as a welcome outlet for the artist in all of us.